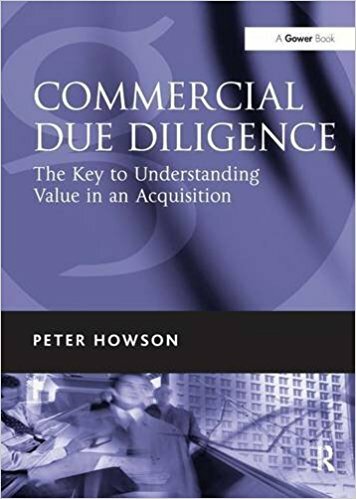 Commercial Due Diligence (CDD) is about telling the difference between superior businesses and poor businesses, which is why this book is a mixture of business strategy, marketing analysis and market research. However CDD is not about the bland application of analytical techniques, it’s about understanding how businesses and markets work and what is really important for profits and growth. Commercial Due Diligence is written by someone with over 25 years’ experience of practical strategic analysis who nonetheless has a strong academic grounding. For the first time here is a book that deals with the essentials of strategic analysis with the practitioner’s eye. If you are in the business of formulating company strategy, and you want to see how to apply the theories and understand in practical terms what works, when, and what can go wrong, this is the book for you.